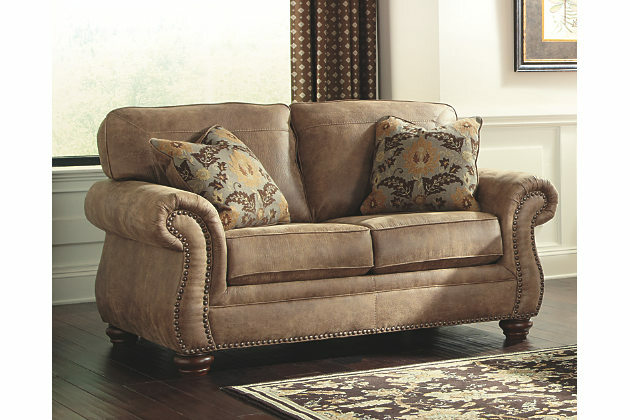 Dramatically transform your living space with the rustic look of weathered leather you love—at a fraction of the cost. 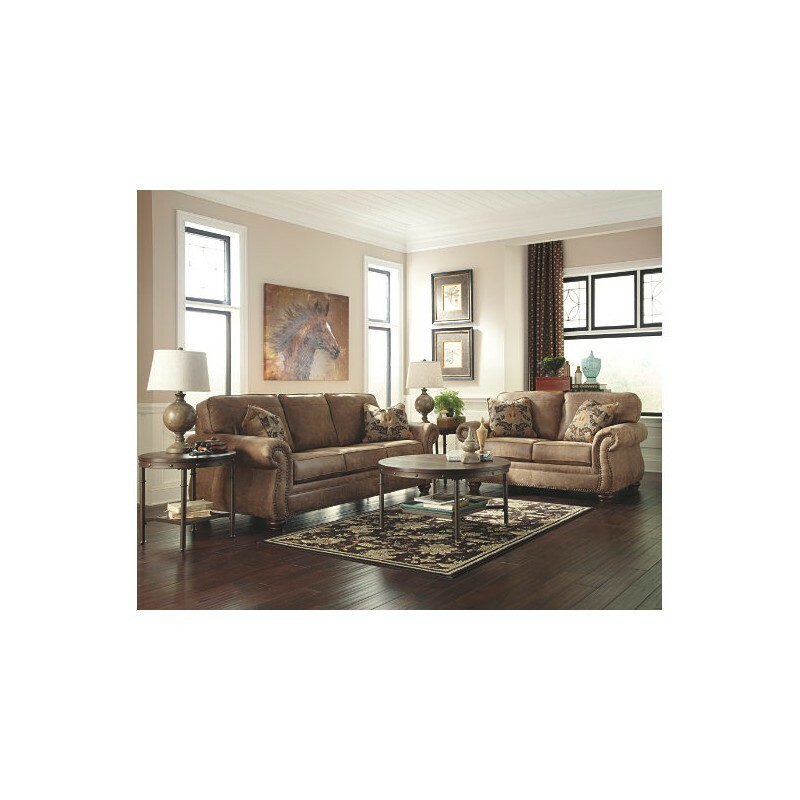 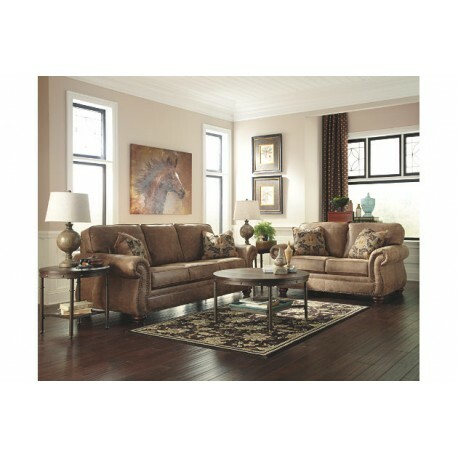 That’s the beauty of the Larkinhurst faux leather sofa. 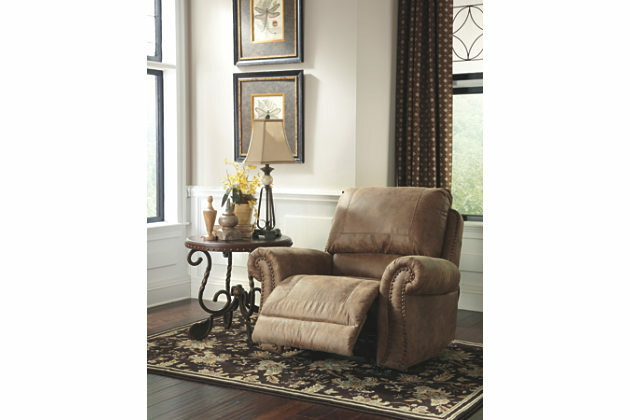 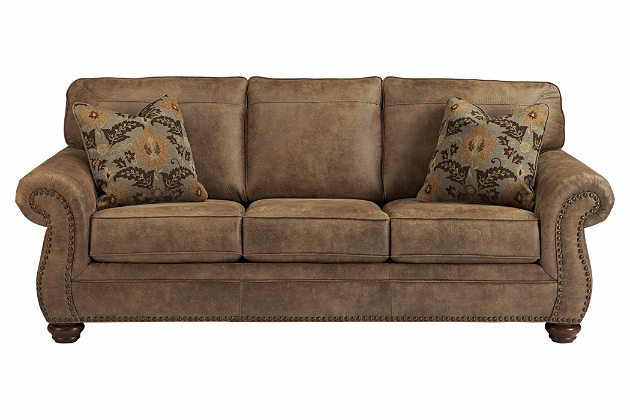 Washed in earthy Southwestern tones, with generous back and seating support and jumbo window-pane stitching.